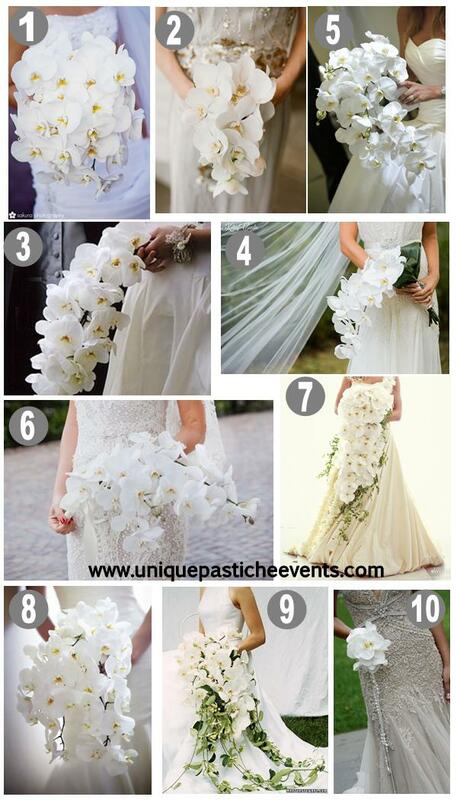 Looking for a beautiful white orchid wedding bouquet? In this post I’ve shared 10 absolutely breathtaking bouquets found from all over, that are my favorites! So without further ado…. Make sure to click through and see where each of these bouquets were found. I do my best to link to where I found the image. Unfortunately, it’s not always the original poster. If you had to pick only ONE of these bouquets for your wedding day, which would you pick?